There has been a lot of development on the site in Namugongo over the years. It started with the renovation of the derelict building in 2003/2004 (now called Hope House). Since then building has continued and the site now includes; water tanks, Faith House, an outside kitchen, staff quarters and storeroom, an independent living block, Sian's Education Room, conversion of bedrooms into bathrooms, a new septic tank and soak pit, and the Temporary Care Unit. Currently there are no plans to develop this site further, and an ongoing maintenance plan ensures that the facilities continue to serve their purpose. As well as development at Victory Child Care Project, we have also supported minor building works at Kyampsi Childcare Ministries, one of our other partners. 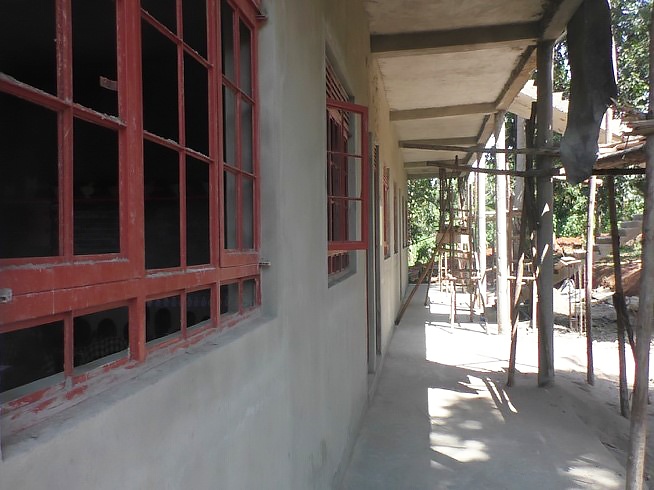 Funds were given over a two year period to construct a concrete ceiling above the first floor of the lower classroom block, and to install doors, windows and concrete blackboards in the 3 classrooms on the ground floor. The classroom block opened at the beginning of Term 1 in 2018. In 2017, we helped finance the making of school benches so that another of our partners - Uganda Hands for Hope - were able to open a further two classrooms, allowing more of the children that they support to receive education onsite.